The YouTube Premium series set the table for a wider-reaching Season 2 without sacrificing the thoughtful story at its center. There’s a moment in the “Impulse” finale that helps bring the show’s entire first season into focus. Not knowing about the strange ability that her daughter has only begun to start to control, Cleo (Missi Pyle) comforts Henry (Maddie Hasson), telling her not to diminish her own experiences or put them in some self-imposed context. In a way, by the ending of Season 1, that’s the same message that “Impulse” itself has sent to its main character: to not lose sight of what she finds important, just for the conventions of TV. While the collective entanglements of the characters for the show’s other generation was more of a mixed bag, the new YouTube Premium series managed to let its high-school-aged protagonist take her time before crossing paths with an outsider well outside her current hometown. In our season review, we referenced the ever-present risk for personal sci-fi stories like this, as they can get caught in the overall conspiratorial framework driving that change from afar. While there was no convenient way for “Impulse” to include nods to non-Henry jumpers traversing continents outside upstate New York, the show at least put off a fateful meetup until the season’s final moments. Of course, it’s easy to do that with someone like Hasson at the center. Who needs a broad network of international spacetime hoppers when Hasson makes Henry’s personal journey one that doesn’t merely lean on just emotional outbursts or apathetic removal? Henry’s reactions to seeing alternate versions of her own sexual assault, playing out in her dreams and then in visions while in a seizure-induced coma, are all anchored by Hasson’s ability to stay grounded in each step of her character’s emotional path. 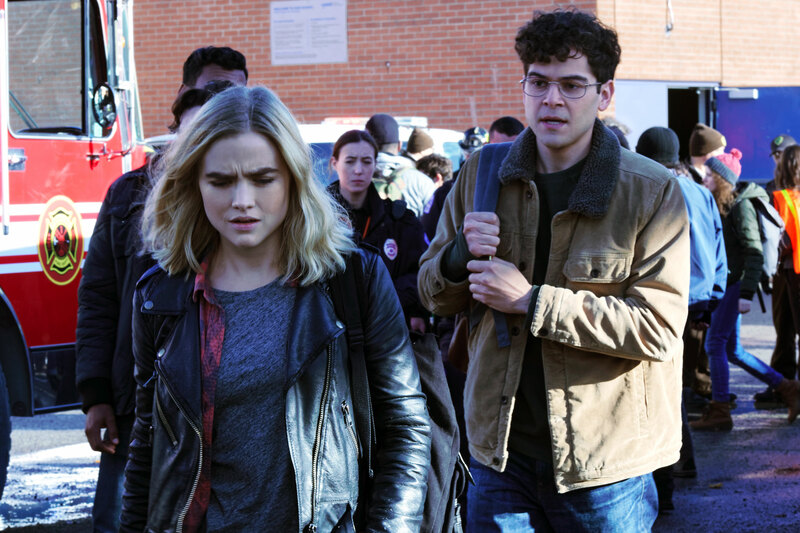 While the season has tracked Henry dealing with the aftermath of Clay’s assault in the opening episode, “Impulse” has done an effective, measured job in building up the danger that Henry needs in order to jump from place to place. Going from the quarry at the beginning of the season, following through to a burning building, the front of a train, and then the barrel of a gun, “Impulse” has put itself in a position for Henry to force herself to learn how to control her newfound ability. The last episode is also a logical extension of the delicate way the show has handled the idea that Clay and Henry keep being brought together by forces outside their control. From the multifamily dinner episode through Henry’s powerful messages told directly to Clay’s face, “Impulse” hasn’t shied away from the idea that some survivors aren’t just carrying memories of their assault — they’re confronted with the person responsible on a regular basis. Henry saving Clay from his burning house doesn’t magically redeem the latter in the scope of the show, either. Clay still sees himself as a victim, harboring blind animosity that will no doubt grow if he also holds Henry responsible for Bill’s gruesome end. (Though, given the car dealers current state of “being dissolved in a tub of acid,” that’s certainly no guarantee.) “Impulse” shows how Clay going through an unexpected change could cloud his perception of what happened before and after the accident, but his own behavior continues to condemn him. As Henry’s visions start to rework her own attack, it shows how it’s even coloring her perception of Jenna’s (Sarah Desjardins) own emerging relationship. Finding Nikolai (Callum Keith Rennie; for our purposes, we’ve been unofficially calling the character Dr. Fishbowl) in a drafty barn hints at the idea that he has a vested interest in keeping the violence in Henry’s wake a secret. Should the story move forward, he might even be able to help her get a firmer grasp on the power that she’s still resorting to drastic measures to engage. Just as the idea that someone’s limb could make a jump without the rest of the person’s body, there are untold layers to Henry’s teleportation, ones that could help it become more a gift than a burden. If the web between the Boones and Coles made up a big focus of Season 1, this finale also showed how, if the show moves forward, it won’t be leaving its supporting characters behind. Townes (Daniel Maslany), in addition to being a careful, dedicated observer of Henry’s various changes, helped give the show some levity amidst the turmoil of the show surrounding it. Jenna coming to understand more about herself and her possible future stepsister showed that “Impulse” could build out its story in other ways, rather than simply relying on supernatural intrigue to elevate everything else surrounding it. Should the show come back for Season 2, the introduction of Danny Pudi and Zack Pearlman as grunt-level employees of a mysterious organization points to some of that same spirit on the other side of things. No matter where Henry’s focus takes her, whether at school or through the inner workings of this new agency — that somehow knows the whereabouts and status of jumpers the world over — it’s already mitigated some of the danger of getting too self-important. Yet that doesn’t come at the expense of some real consequences for the intertwining manhunt and drug trade that loomed over Season 1. Characters like Jeremiah’s son Amos are still dead and what remains of Bill’s shoulder is still separated from the rest of his body, mere seconds away from taking the life from at least one member of the Cole family. 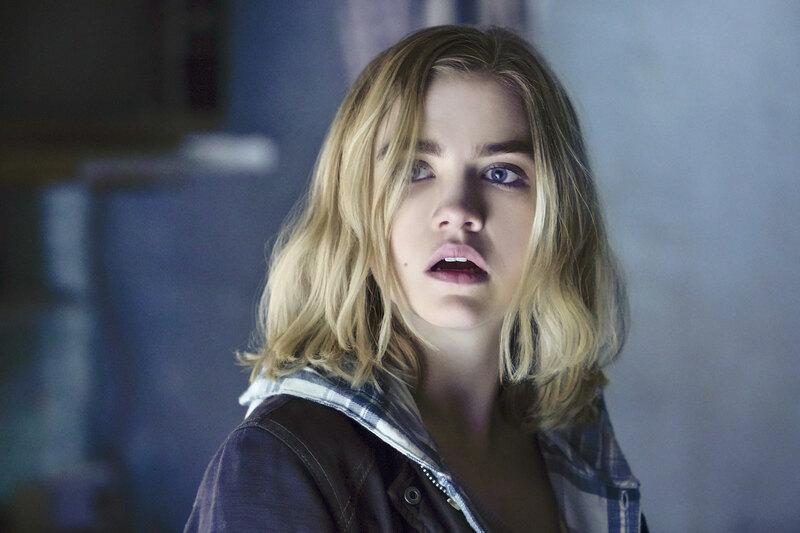 The idea of danger in the “Impulse” world has been slowly building over the course of 10 episodes. By using that as a gradual, natural escalation and not a shortcut to ramp up Henry’s value as a main protagonist, “Impulse” is a better show for it. There are plenty of places Season 2 could jump to next, and the show is in a position to handle even more of them than they have before. The first three episodes of “Impulse” are now available to stream for free on YouTube. The full season is available now with a subscription to YouTube Premium.